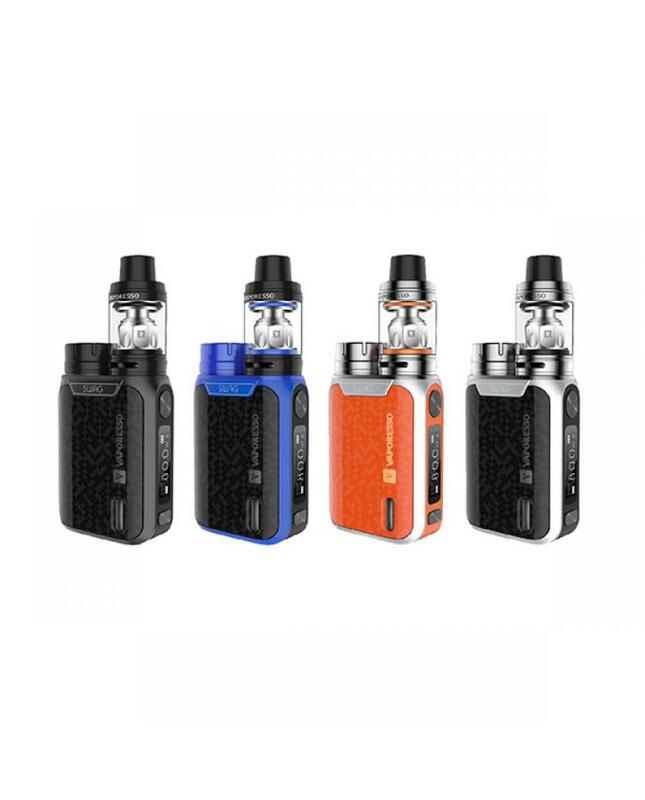 Newest vaporesso swag 80w vape mod kit, four fashionable colors available, made of high quality aluminum alloy and stainless steel material, the kit includes swag 80w TC box mod and NRG SE tank. the swag mod with modernly design, adopted IML technology, powered by 1pc 18650 battery and max output 80watts, built-in upgradeable OMNI 2.0 chipset, combine with 0.96inch OLED screen, easy-to-read vaping data. supports resistance as low as 0.05ohm, different working modes switchable, and different vaping effect available under variable wattage working modes, vapers can select high, normal and soft. the swag mod with top battery cap design like eleaf pico 75w mod just conveniently twists and open to replace the 18650 battery. 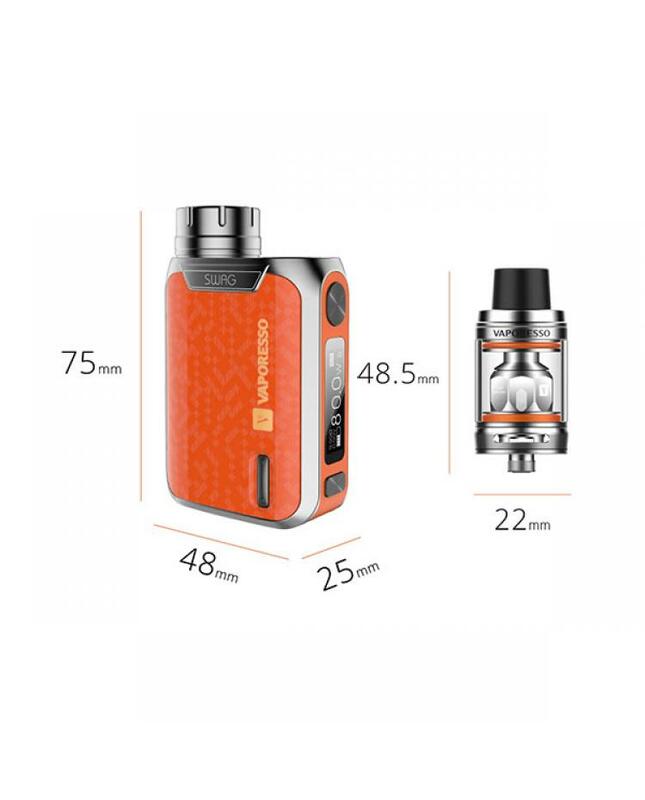 the NRG SE tank with inherited twist open design, smooth adjustable bottom airflow design, this time vaporesso bring us five different sub ohm coil heads include the ceramic cores, will produce a large cloud of vapor and flavor. 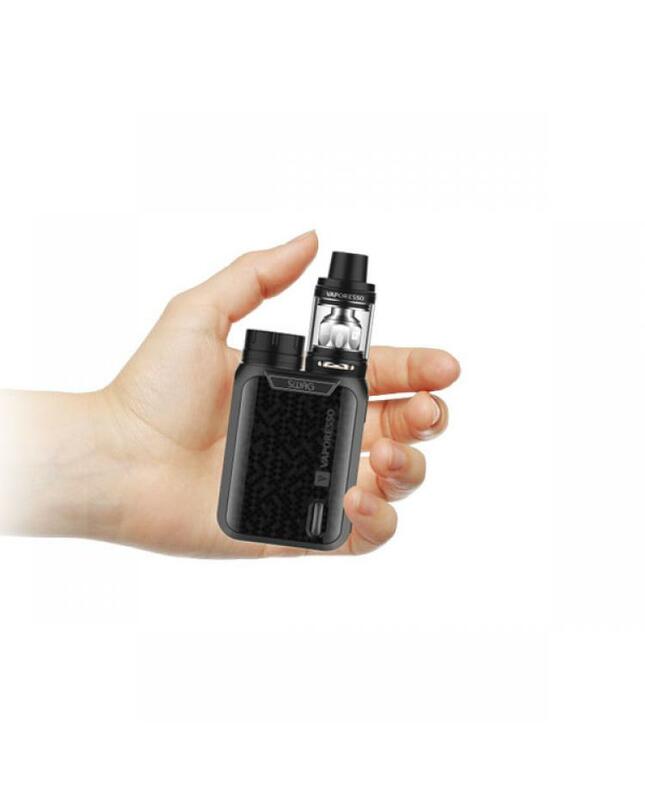 this palm-size design vaporesso vape kit fits your pocket comfortably, provide better vaping experience.